The report “Aircraft Cabin Interior Market by Type (Seating, IFE, Lighting, Galley, Lavatory, Windows & Windshields, Stowage Bin, Panels), Vendor (OEM, Aftermarket, MRO), Aircraft Type, Material and Region (OEM, Aftermarket, MRO) – Global Forecast 2022”, published by MarketsandMarkets™, the market is projected to grow from an estimated USD 26.02 Billion in 2017 to USD 38.85 Billion by 2022, at a CAGR of 8.35% during the forecast period. Increase in aircraft orders, passenger traffic, and upgrades of aircraft are some of the key factors driving the aircraft cabin interior market. Based on type, the in-flight entertainment segment of the aircraft cabin interior market is estimated to be the fastest-growing market during the forecast period. The in-flight entertainment segment of the aircraft cabin interior market is estimated to be the fastest-growing segment during the forecast period. This growth is attributed to an increase in the demand for in-flight connectivity as it has become an alternate source of income for most airlines. Ancillary revenues help airlines maintain service quality or increase the quality of the services provided onboard. Airlines are using different sources for revenue generation such as onboard shopping, Wi-Fi connectivity, and advertising. 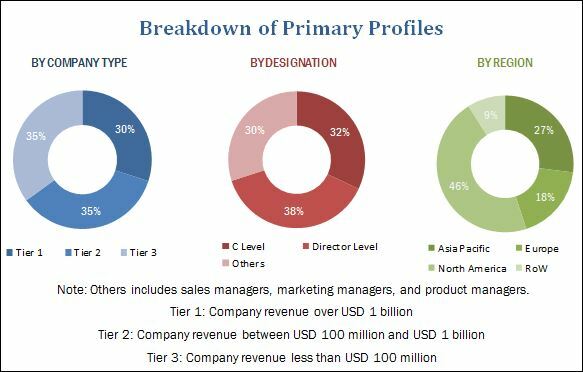 Based on aircraft type, the wide body aircraft segment of the aircraft cabin interior market is projected to grow at the highest CAGR from 2017 to 2022. Based on aircraft type, the wide body aircraft segment is projected to grow at the highest CAGR during the forecast period. The increase in aircraft orders and demand for enhanced passenger experience, especially in long-haul aircraft, are among the key factors driving this segment of the aircraft cabin interior market. Based on vendor, the OEM segment of the aircraft cabin interior market is projected to grow at a higher CAGR from 2017 to 2022. Based on vendor, the OEM segment in the aircraft cabin interior market is projected to grow at a higher CAGR during the forecast period. The growth can be attributed to increased aircraft orders by airlines globally. Asia Pacific is expected to be the fastest-growing aircraft cabin interior market during the forecast period. Major players operating in the aircraft cabin interior market include Zodiac Aerospace (France), United Technologies Corporation (US), Diehl Stiftung & Co. KG (Germany), Rockwell Collins (US), and Astronics Corporation (US). These players offer various aircraft cabin interior product types, including aircraft seating, in-flight entertainment and connectivity, galley equipment, and lavatory. These companies have well-equipped manufacturing facilities and strong distribution networks across North America, Europe, and Asia Pacific.